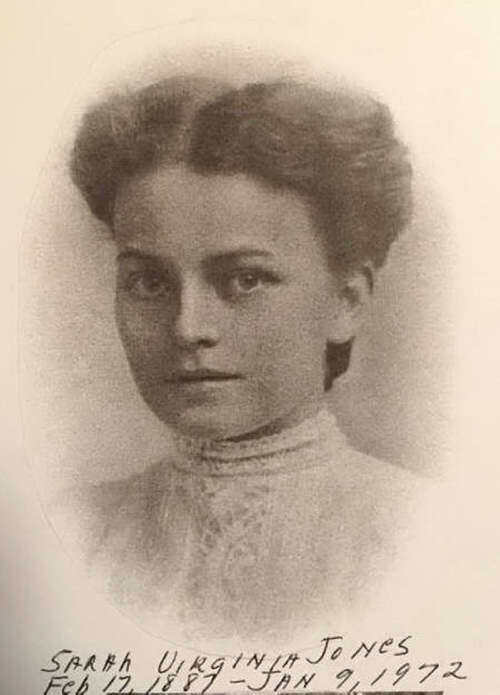 The following family information was written by Sarah Virginia (Jennie) Jones, daughter of Matthew M. and Susan Marinda Potts Jones of Wayne County, NC. She was a granddaughter of Newman and Susan Marinda Lewis Potts of Brogden Township and great-grandaughter of Charity Potts. My mother’s father was Newman Potts (Sr). He was the illegitimate son of Charity Potts, common law wife of the wealthy Walter Dunn (Jr). Walter was a proud aristocrat and it seems ambitious too. It is said he married for money and to his own heart was untrue. Though he gave his name to another, a lady of wealth and pride, Tis said his heart always belonged to the little unwed bride. Young Newman was bonded out to work. It was a custom of his time for children to be apprenticed out for a certain length of time. As the young man worked, no doubt he dreamed of a distant time and place when he too would own houses and land with no stigma of disgrace. And he did become a man of means to whom much respect is due. Such integrity as he possessed is given to very few. Every obstacle and handicap with courage he overcame, till he reached the goal his heart had sought, a proud and honored name. He built a firm, solid foundation hewed out by his strong bare hands, upon which others were glad to build, on which many now proudly stands. He married Susan Marinda Lewis who walked closely by his side, whether the day was fair or stormy, through whatever might betide. I should like to digress a moment while I pay sincere tribute to the grandmother I never knew except only by repute. Susan Lewis Potts, dear grandmother, I now take my pen in hand to write a few lines to your memory, I know you will understand. I have gazed upon the marble slab that marks your resting place. Read there, “None knew her but to love her, No one named her but to praise”. Somehow, I seemed to know grandmother, those beautiful words were true and in my heart there was a sadness because your love I never knew. Do you know dear grandmother I was born in the old Potts home where you reared your twelve children, where with them you used to roam? Did you ever stand by the cradle or beside my mother’s chair while she rocked me and sang the songs which you once sang to her? Your life was full of work and worry, perhaps disappointments too, yet you had the strength and courage to be always good and true. You went into the shadowed valley to bring to earth twelve souls. As a devoted wife and mother, played one of life’s greatest roles. You gave me a wonderful mother, one who was worthy of you. To the principles which you taught her I’ve tried also to be true. You left me a priceless heritage, the love of a spotless name. Though all who know me may not love, none can hold my name in shame. If it is true we will never die while we live in someone’s heart, then, grandmother, you will live on until this life I depart. I hope you will be waiting with mother to welcome me to that shore. I shall be so happy to meet you, I could never ask for more. Of great grandmother Charity Potts, who loved not wisely but well, I have little information, only what the census tell. She lived in Lenoir County as did others of that name. To find the family she belonged to I shall make my future aim.